Just Completely Remodeled Home..and it's Magnificent! Located East of US1, in the city of Cutler Bay, voted one of America's best suburbs to live! 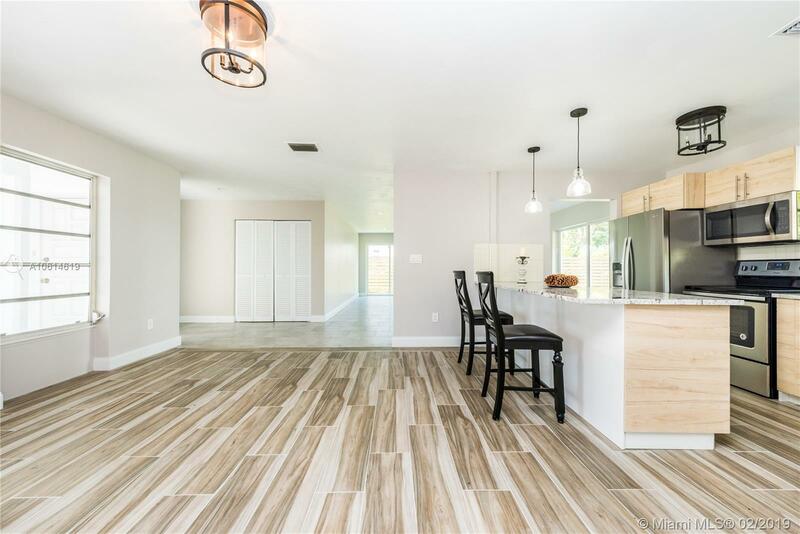 This home has Open Space living areas, 4 bedrooms, 2 bathrooms, All NEW: Modern wood-look ceramic floors, modern kitchen, Granite counter top, Stainless steel appliances, new electrical, you name it! Huge backyard with space for a pool. Lots of curb appeal, long driveway, garage, NO HOA!! Easy access to US1 and Turnpike. FHA & VA welcomed. City of Cutler bay is the city of parks, family, outdoor living and the best schools. You'll LOVE it here! Come see it today! Directions: Us1, Left On Franjo Road, Right On Lenaire Drive.